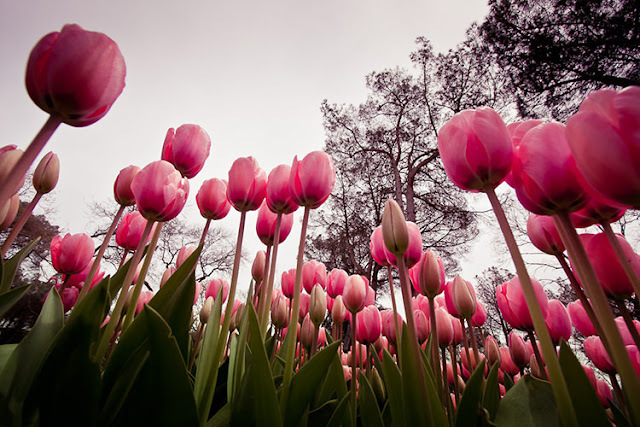 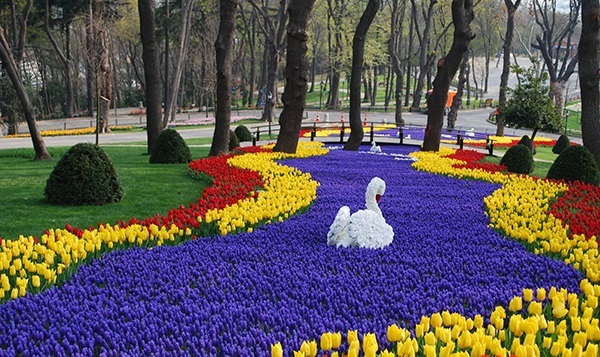 In April the annual International Istanbul Tulip Festival (Istanbul Lale Festivali) takes place. This shouldn’t be a surprise if you know that — unlike common belief — tulips originated more or less in Turkey. 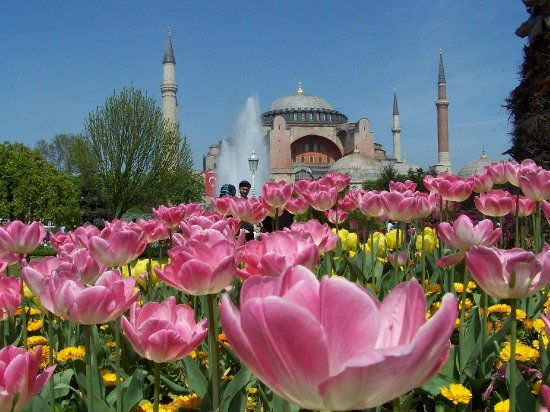 So, if you happen to be in Istanbul during this time of the year, you’re in luck. Millions of tulips are planted in Istanbul’s parks, avenues, traffic roundabouts … basically anywhere where some open ground is available. During the month of April, you can spot these glorious spring flowers everywhere in Istanbul. 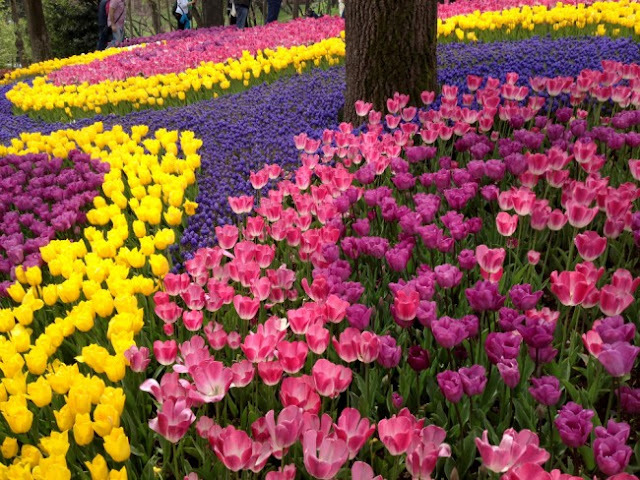 But for a real tulip treat and the International Istanbul Tulip Festival, you have to head to Emirgan Park. 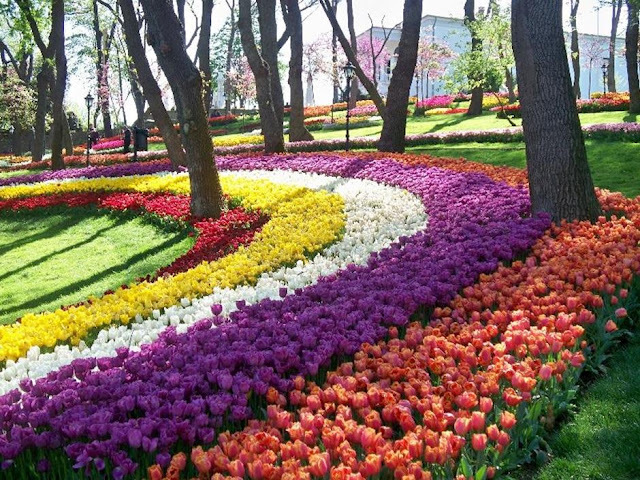 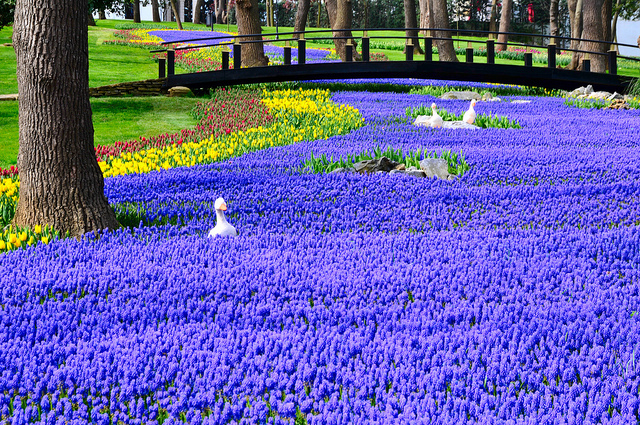 It is one of the largest public parks in Istanbul and has several tulip gardens. 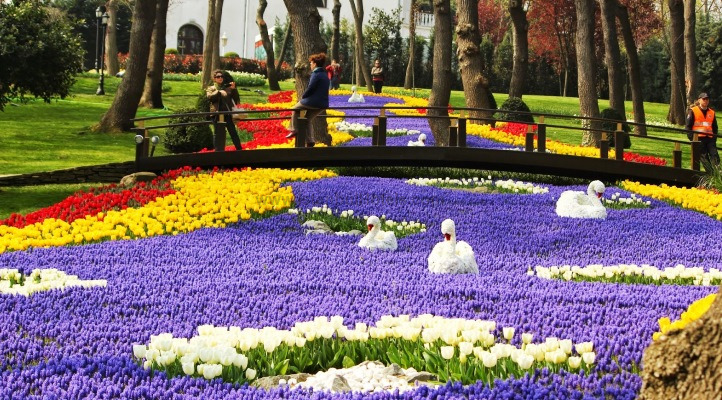 Emirgan Park is located by the Bosphorus in Sariyer, which is a little bit past the second Bosphorus Bridge.